The Parliamentary Standing Committee on Finance on Thursday asked the central government to circulate three reports on black money by centrally-funded think tanks among its members and also make them public. 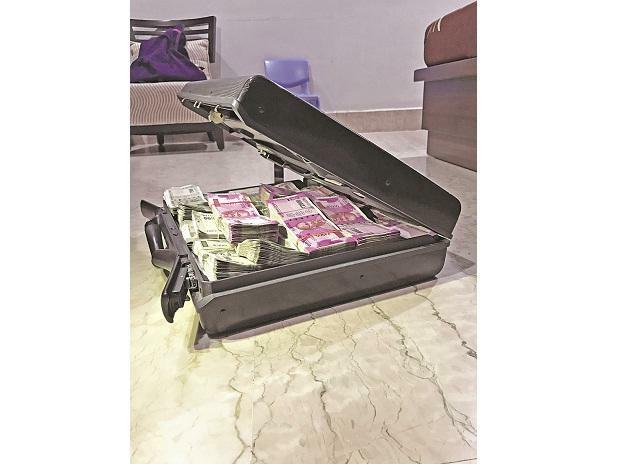 The three reports on the quantum of black money held by Indians, both inside the country and abroad, have been prepared by the National Institute of Public Finance and Policy (NIPFP), the National Council of Applied Economic Research (NCAER) and the National Institute of Financial Management (NIFM). “It has been decided at the meeting of the committee today that the reports should be made public, and also circulated among members. The panel has told the finance ministry to circulate these reports,” said a person aware of deliberations within the committee. The decision was taken when Revenue Secretary Ajay Bhushan Pandey and the new chairman of Central Board of Direct Taxes (CBDT), Pramod Chandra Mody, appeared before the panel and gave a presentation on the steps taken by the government on the issue of black money. The reports were commissioned by the previous Manmohan Singh government in 2011, when Pranab Mukherjee was finance minister, and were submitted to the finance ministry in December 2013 (NIPFP), July 2014 (NCAER) and August 2014 (NIFM). While the government claims that the reports had already been sent to the Standing Committee, some of its members disagree. The House panel is led by former Petroleum and Corporate Affairs Minister and Congress MP Veerappa Moily. It has 21 members from the Lok Sabha and 10 members from the Rajya Sabha. In the recently concluded Budget Session of Parliament, Biju Janata Dal’s B Mahtab and Trinamool Congress member Saugata Roy had claimed that the reports were not shared with them in their capacity as members of the Standing Committee. Piyush Goyal, who was acting as finance minister then, said the reports were available for the members, but not in public domain. The minister also said the figures on the quantum of black money were different in the three reports and hence there was no credible conclusion. He cited various communications from the Lok Sabha Secretariat and said the reports were now a property of the Secretariat. At present, there is no official assessment on the quantum of black money in India and abroad.